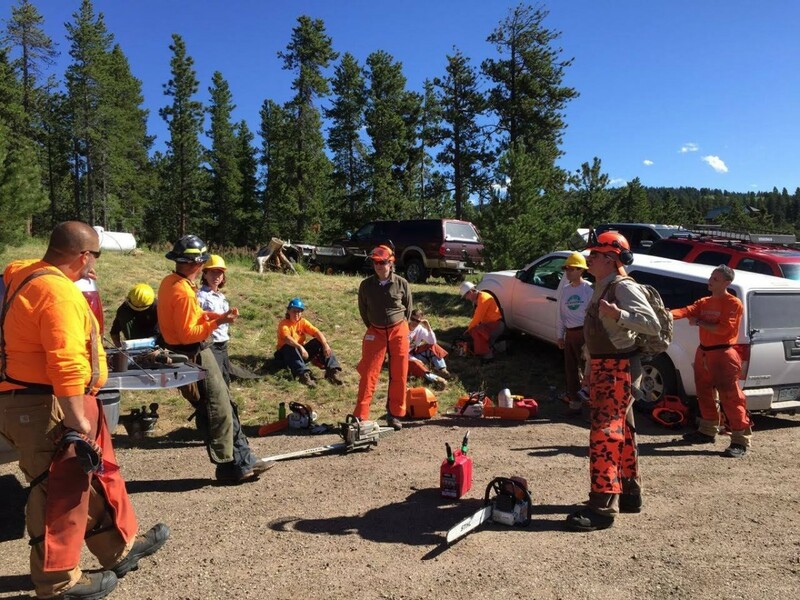 On July 18 + 19, Nederland Volunteer Fire Dept and Saws and Slaws (Mike Smith) taught a Beginner Chainsaw class to a class of about 12 students. 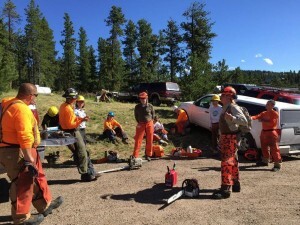 All the basics were covered and practiced in the field and some new, safer Sawyers were born! On the following Saturday, July 25th, Mike taught the Intermediate Chainsaw Class to many of the same and some additional sawyers from Saws and Slaws. The classes were thorough and well taught. Mike and his team were superb. 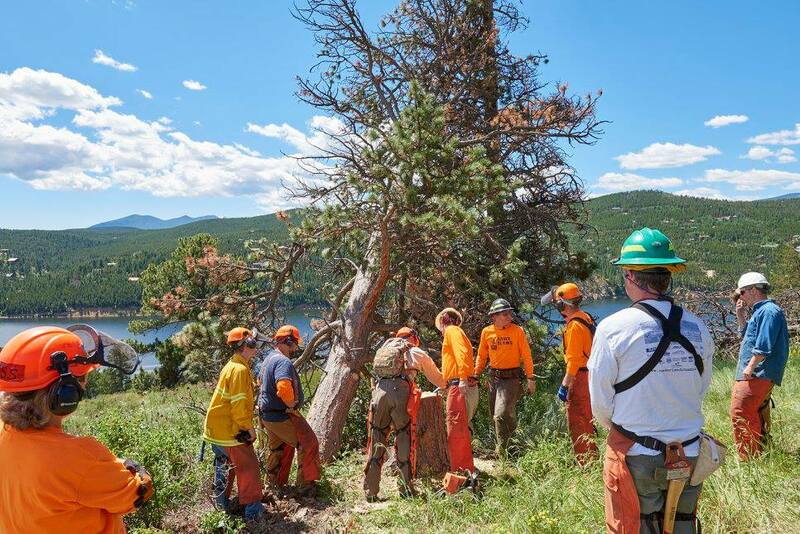 A lot was learned and, since safety is so important to us, we have just made Saws and Slaws an even better organization! (And it was already a pretty darn good one!) Thanks, Mike Smith of Nederland, for his expert tutelage and insight! We look forward to more classes in the future. 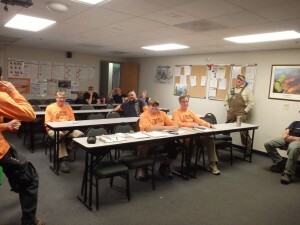 All of the Sawyers in S&S have attended a safety class like this. 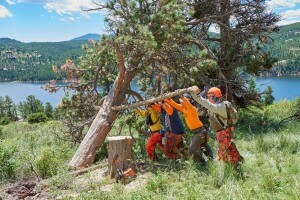 Any beginning chainsaw classes yet this fall? We have a lot of fire mitigation wood to prep and my boyfriend has a problematic back. 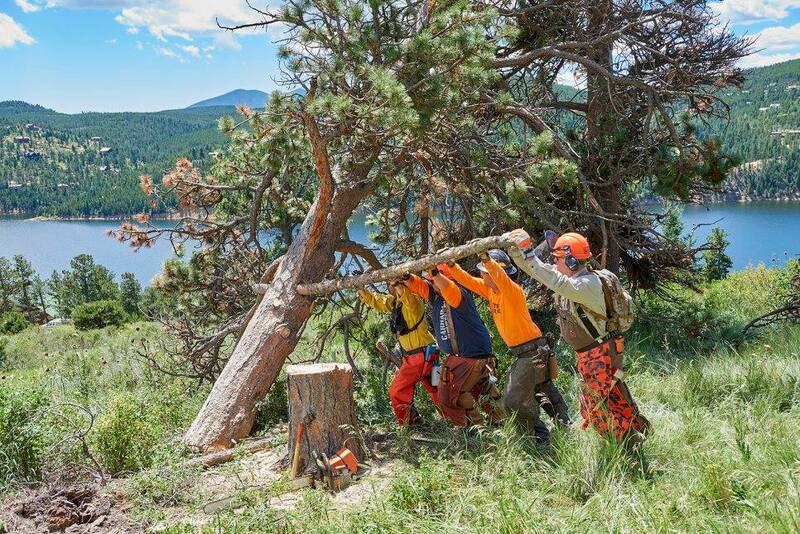 I am sorry to report that we are dome with Chainsaw Safety Classes this season. Please check in with us next Spring and we will get you set up. A good contact for class schedules is Jody Dickson, jody@dickson.org.